Brainstorm’s yearly annual with all their competition music from 2010. I took over this project from deathy after he was unable to finish it. I started fresh in my own engine and completed it in about 5 days altogether, with Blip Festival in the middle. Lots of great pictures and music in this one. A music disk coordinated by maep on behalf of the great Nectarine musicians. 19 great tracks, and a couple of musicians from brainstorm. My job on this project was mostly to add small bits and pieces here and there (such as the supernova in the beginning), make sure that everyone was on the same track, and make sure it ported to the Mac without a problem. 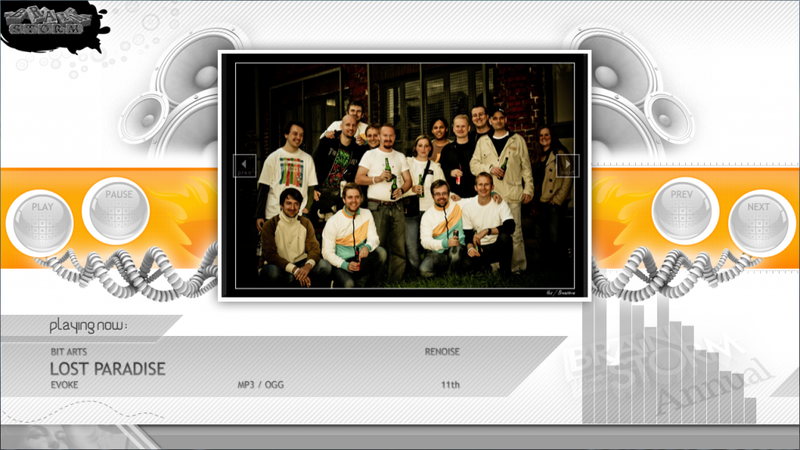 The music disk can be downloaded from the pouet link above. This is a quick project I threw together in-between work on Zine #14 and starting work on Zine #15. I coded it in a mix of C and Z80 Assembler. The whole project took just over two weeks to complete. Features 12 tunes for the CPC, and a hidden 13th track! Ultrasyd and Yes were present at Main party to accept our award for third place. More information about the project HERE. 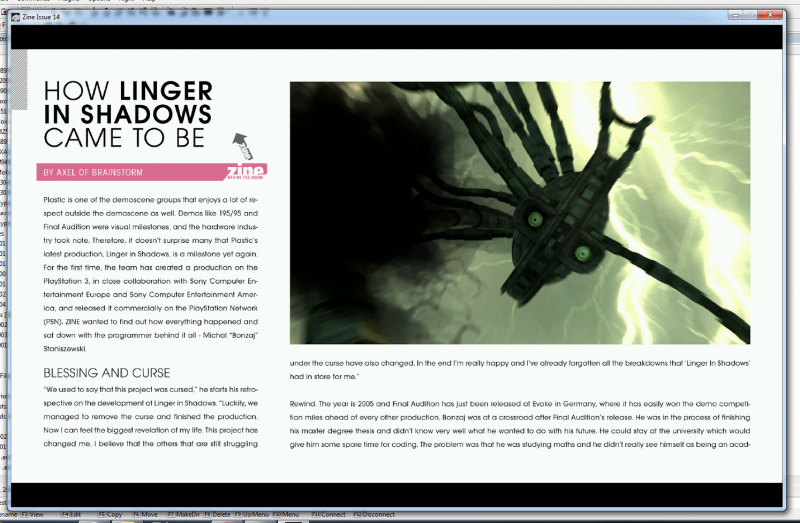 Zine was my first big demoscene project for the group Brainstorm. After spending more than ayear working on the engine, it was released at Evoke 2010 where I was able to attend and meet all of the goats. This was a very tough project for me, and I was amazed at the feedback when I was able to speak to people using it at Evoke. More details & credits can be found on my Zine 14 posting page Here. CVGM – From August 2009 to Present, I have been working on CVGM.net, a small web radio station for streaming computer, video game and demoscene music. Its free for everyone! Barkanoid 2 is a classic arcade game similar to Arkanoid that requires quick thinking and sometimes even quicker reactions from the player. In each level the task of the player is to destroy all tiles on the field by hitting them with the playing ball. At the same time he must avoid loosing the ball by navigating his bat at the bottom and direct the balls to hit each tile that is still remaining in the level. Additional Info. Notes: I did start a Sony Playstation port of this game until the project was cancelled after countless problems with Sony providing us a dev unit that actually worked properly, which couldn’t be shipped to me in the USA anyways. Writing code, sending to someone else to test/give feedback and wait was a very tedious process that left me feeling very unproductive. The story begins where the plot of “Cultures 2 – The Gates of Asgard” ended. This is a classic strategy game in a similar style to ‘The Settlers’ and ‘Knights & Merchants’. The exciting plots tells the story of Viking God Loki who tried to take revenge on Godfather Odin for his banishment from Asgard to Earth. Based on the enhanced technology of “Cultures 2 – The Gates of Asgard”. Additional Info. Notes: My involvement of this project was to port it to MorphOS, and fix some issues with sound on the Linux version which didn’t crop up until after it’s initial release. In the end, it was never released for MorphOS and I don’t remember exactly why. I still have the files for it, so it was most likely a licensing issue. 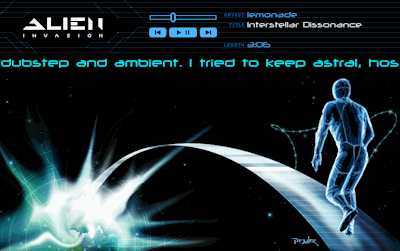 Paul also ported Weltwunder (8th Wonder of the World) to Mac/Linux, which uses the same code base. I never got that far on MorphOS. Software Tycoon is a Computer Games business simulation game. I remember playing games similar to this in the early 80’s. It was good to see this game concept covered once again, especially since it can now cover more than 20 years of game making history. Additional Info. Based on the Classic Solitaire Mahjong. This was a special version for PDA’s custom made for Amiga Inc. The original game was written by my long time friend and mentor Paul Burkey for the classic Amiga. We converted it to Amiga Inc’s (then) new AmigaDE OS (Intent). Notes: We were never paid for this project despite being at the #1 slot for a while on their sales charts. I did eventually re-release it later to get back some of the effort we put into the game.